This blog entry can be used by the SOHO segment user to take care of sensitive electronic devices in his/her premises. The objective is to provide CLEAN NOISELESS POWER* to sensitive electronic devices. It is highly recommended that an audit of the premises be done by an expert before any suggestions in this blog entry are implemented. * Clean, noiseless power is power that is free of voltage spikes, surges, and miscellaneous distortion. Noisy power has potential to cause huge damage, especially to delicate electronic devices. Slow damage that is not easy to attribute to noisy electricity. 1) In terms of "TOTAL HARMONIC DISTORTION OF THE WAVEFORM." 2) In terms of Decibels. Diagram 1 is an example solution to the problem of noisy electricity in the small-medium office/home segment. It is not the only solution. Can be used as a guide though. The solution that is right for you depends on many things, and a power audit by a professional is necessary. 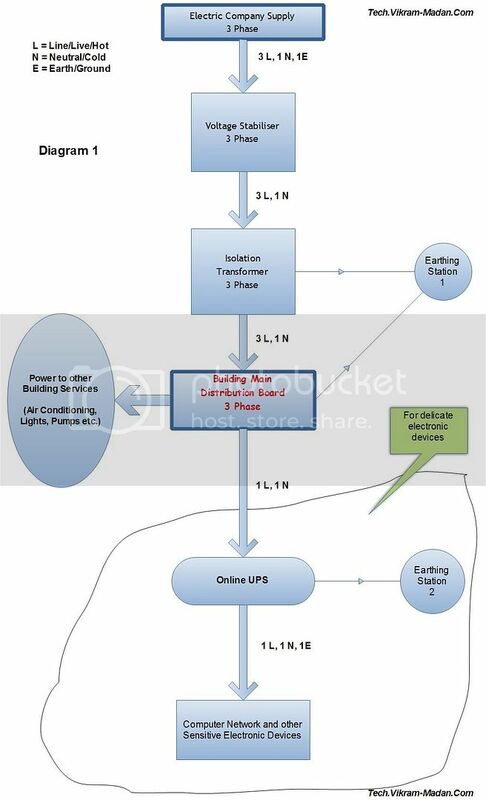 The devices shown in Diagram 1 are. 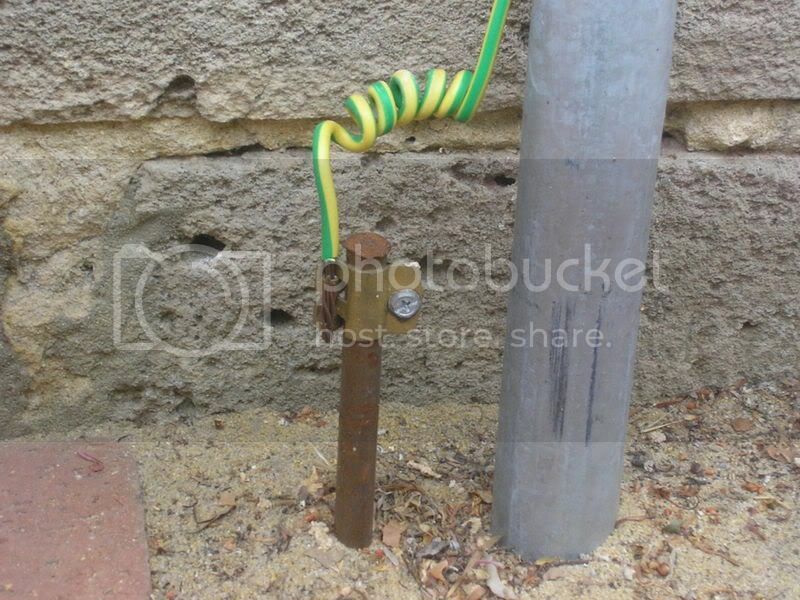 1) Voltage Stabiliser for stabilising voltage from Electric Company. 2) Isolation Transformer - Acts as an electrical cushion around your building to save it from electrical noise from the neighbourhood. It does this by ISOLATING your building, electrically. Also purifies and filters power. 3) Earthing Stations - For getting rid of leaking electricity. Electrical trashcans. Very important, to keep the quality of power good. 4) Online UPS - A device that purifies power to ensure that only high quality, clean, noiseless power reaches the devices connected to it. People very often neglect the earthing in their building. This is a very wrong practice. Will be covered in a separate blog entry.